Built on everything that we've learned from Gmail, Inbox is a fresh start that goes beyond... Created by Google Inc. Built on everything that we've learned from Gmail, Inbox is a fresh start that goes beyond email to help you get back to what matters. Bundles, because some messages just belong together. Promotions are now neatly organised. And create your own bundles for anything you like. Add your to-do list to the top of your inbox. And even get a helping hand to get them done. Snooze messages and reminders to whenever (or wherever) you choose. Inbox by Gmail (sometimes referred to as Inbox) was added by Danilo_Venom in Oct 2014 and the latest update was made in Oct 2018. The list of alternatives was updated Apr 2019 There is a history of all activites on Inbox by Gmail in our Activity Log. It's possible to update the information on Inbox by Gmail or report it as discontinued, duplicated or spam. Spike is the world’s first conversational email app. Welcome to the shortest path to done. . Dedicated Gmail client with clean integration of Google Calendar, Contacts, Google Drive, and Google Docs, Sheets, and Slides. 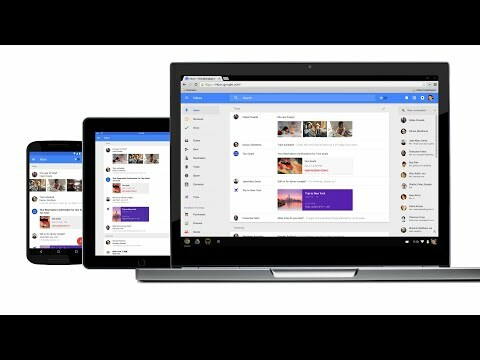 Alternatives to Inbox by Gmail for iPhone, Mac, Android, Windows, iPad and more. Filter by license to discover only free or Open Source alternatives. This list contains a total of 25+ apps similar to Inbox by Gmail.